The powerful, beast-like Lamborghini Aventador is back in 2018. It’s a pure supercar, with a price tag to match, costing over a million in AUD. It’s built mostly in Italy by a team of passionate manufacturers – the engine is put together by hand. Like the famous Lexus LFA, the core is carbon fibre to keep the weight down, yet it still weighs in at 1600kg. 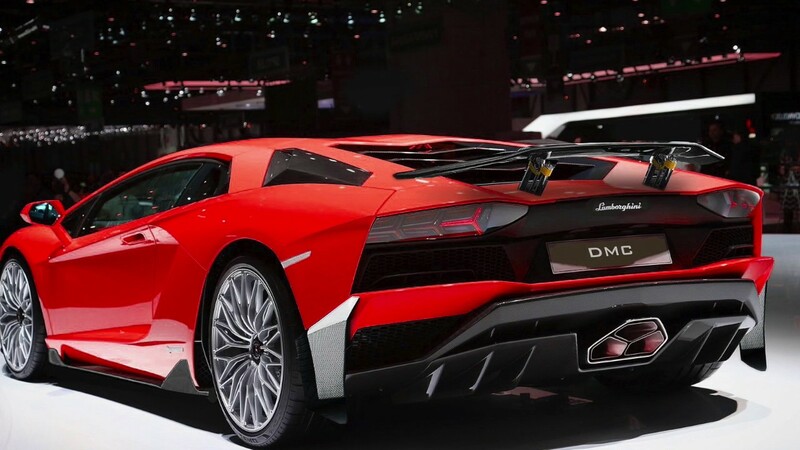 The thoughtful build extends to the three-outlet exhaust system which is made from ‘Inconel’, a nickel-chromium-based superalloy that’s used in F1, and reduces the weight of the Aventador by 21kg. It features iconic scissor doors that are heavy to operate, and no storage space at all inside, so forget about picking up a coffee, a phone, a small bag – you’re best off putting all this stuff in the micro-boot and focusing on the driving experience. The rear wheel arches have a new, squarer design, cut-out towards the side-skirts. Air-intakes are smaller, with more black in the finish, and the taller bumper giving the car a more robust appearance. With a 6.5L V12 (544kW/690Nm), all-wheel-drive and seven-speed automated manual transmission, adaptive suspension, dynamic front steering and rear-wheel steering ensure the power is directed to the road. With steering controlling all four wheels plus 130% more downforce from the new aerodynamic structures, it’s cornering and slalom is better than any car yet. The extra power on this edition comes from optimisation of the variable valve timing (VVT) and variable intake systems (VIT), increase in engine revs from 8,350 to 8,500rpm. Reaching 100 km/h from a standstill in 2.9s, 200 km/h in 8.8s and 300 km/h om 24.2s, with a top speed of 350 km/h, and carbon ceramic brakes to make sure you can safely dial it back again from 97 km/h to stop in just 31 meters. The car commands respect, it’s designed to get your heart racing and to challenge your driving skills. You can even set the driving mode to Ego with custom settings to suit your preference or choose from pre-set Corsa, Sport and Strada modes. The rear wing moves through three positions depending on drive mode and speed, while the new real-time variable damping system controls the specially constructed suspension. The suspension geometry and damping is optimised for the four-wheel steering system to optimise wheel and body control while maintaining grip and balance. The new Pirelli P-zero tyres have been specially designed for this car, with stronger outer walls that respond better to the rear-wheel steering system. Performance is matched by an enviable engine sound absolutely guaranteed to turn heads, a definite improvement on the previous SV model. It uses a lot of fuel: 17L/100km and the one complaint is that the fuel tank is tiny at just 50L so you have to refuel frequently. CO2 emissions are 394g/km. The updated instrument cluster can be customized, and there’s Apple CarPlay though you’ll find it hard to securely store your phone anywhere. Optional telemetry gives you a lot more data about the track performance, like lap times. The interior can be customised to suit your own tastes if you have the cash to splash. 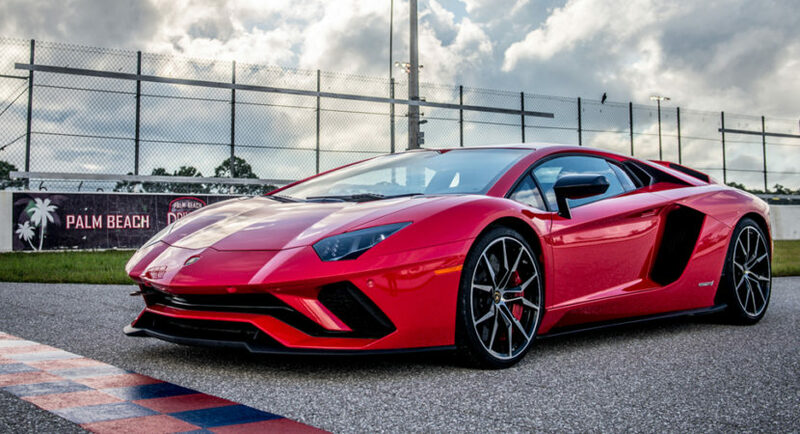 The 2018 Lamborghini Aventador S delivers more tech and an exciting new steering system that justifies the price hike on this years model. It’s one of the most exciting cars on the market, and if you can afford it, it’s bound to boost your happiness quota.